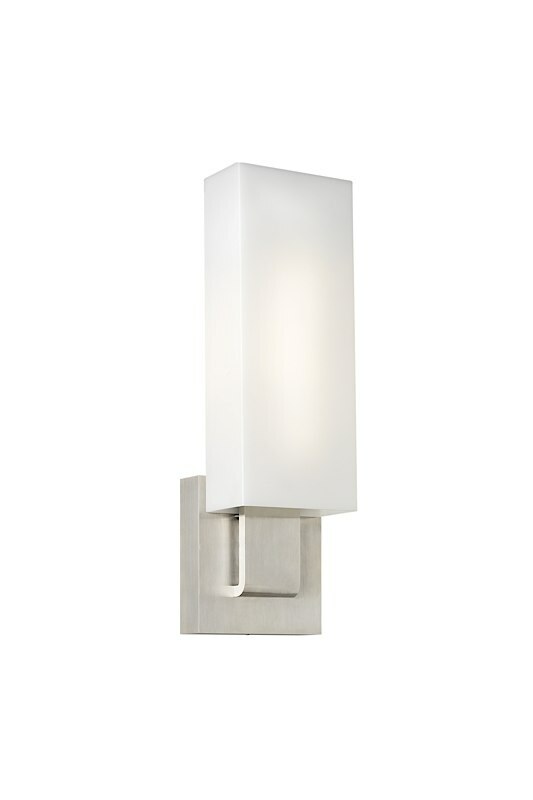 The Kisdon wall sconce has a modern rectangular glass shape and metal detailing. 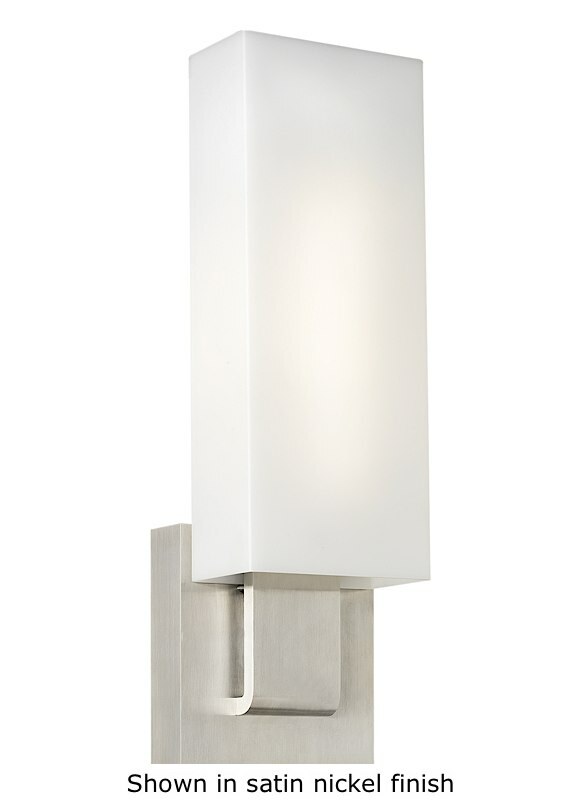 It provides ambient and up- or down-light. Available in incandescent or fluorescent lamping; includes two 60 watt halogen lamps or 18 watt base twin tube compact flourescent lamps. Incandescent version dimmable with standard incandescent dimmer. ADA compliant. Mounts up or down.